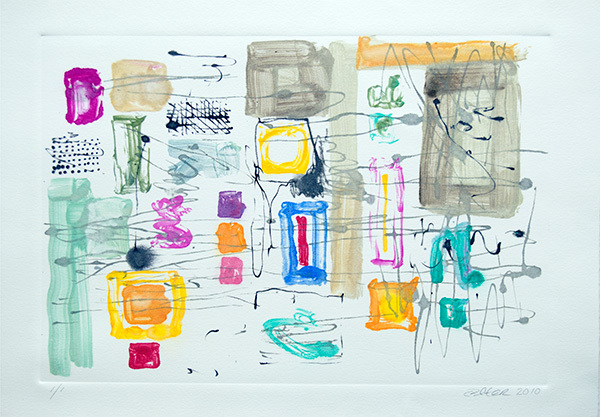 Donald Alter, Arrangement, 2010, monoprint on paper, 8 1/2 x 12 1/8 inches. Black Mountain College Collection, gift of the Artist, 2012.35.04.60. Printing + Mixed Media: Students explore traditional and non-traditional media including painting, printmaking, and mixed-media processes to create original artworks. This week is a fun-filled, fast-paced opportunity to combine great ideas with some new techniques.